ŠKODA’s well-loved city car provides the perfect mix of style and compact practicality, and is available in both a three and five door variant, each with their own Monte Carlo trim. 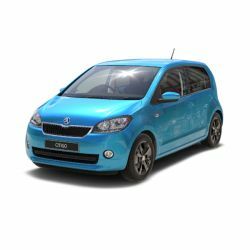 The Citigo’s space is deceiving; the cabin is well thought out and if you fold the back seats down and you have 951 litres of space to play with. Reveal your sporty side with the Monte Carlo models, featuring lowered suspension, front and rear spoilers, and black alloys.